Can You Transfer a Mortgage? When you sell a house or one of the owners moves out, it might make sense to transfer the mortgage to the new owner. Instead of applying for a new loan, paying closing costs, and starting over with higher interest charges, the owner would just take over the current payments. Transfer an assumable mortgage by asking your lender to make the change. Refinance the loan in the new owner’s name only. Transfer when the situation does not trigger a loan’s “due-on-sale” clause. If a loan is "assumable," you're in luck: that means you can transfer the mortgage to somebody else. There is no language in the loan agreement that prevents you from completing a transfer. However, even assumable mortgages can be difficult to transfer. In most cases, the “new” borrower needs to qualify for the loan. The lender will look at the borrower’s credit scores and debt to income ratios to evaluate the borrower’s ability to repay the loan. The process is basically the same as if the borrower was to apply for a brand new loan (but of course the borrower can take over the existing loan part-way). Lenders approved the original loan application based on the credit and income of the original applicant(s), and they don’t want to let anybody off the hook unless they’ve got a replacement borrower who is just as likely to repay. To complete a transfer of an assumable loan, request the change with your lender. You'll have to complete applications, verify income and assets, and pay a modest fee during the process. Transferring ownership: Switching out names on a loan only affects the loan. You may still need to change who owns the property by transferring title, using a quitclaim deed, or taking any other steps required in your situation. Unfortunately, assumable mortgages are not widely available. Your best bet may be if you have an FHA loan or a VA loan. Other conventional mortgages are rarely assumable. Instead, lenders use a due-on-sale clause, which means the loan must be paid off when you transfer ownership of the home. If a loan is not assumable and you can’t find an exception to a due-on-sale clause, refinancing the loan might be your best option. Similar to an assumption, the new borrower will need sufficient income and credit to qualify for the loan. The “new” homeowner will simply apply for a new loan individually and use that loan to pay off the existing mortgage debt. You may need to coordinate with your lenders to get liens removed (unless the new borrower and new lender agree to them) so that you can use the house as collateral, but it’s a good, clean way to get the job done. Some liens routinely transfer from one owner to another (for example, if improvements were made with PACE financing). Lenders don’t usually benefit from letting you transfer a mortgage. 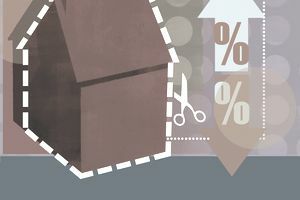 Buyers would come out ahead by getting a more “mature” loan, with the early interest payments out of the way (and they might be able to get a lower interest rate). Sellers would get to sell their house more easily — possibly at a higher price — because of those same benefits. But lenders stand to lose, so they’re not eager to approve transfers. A due-on-sale clause is a section of a loan agreement saying that the loan must be paid off when the property sells (the loan is “accelerated”). Exceptions to the rule: In some cases, you can still transfer a loan — even with a due-on-sale clause. Transfers between family members are often allowed, and your lender can always be more generous than what your loan agreement says (it's an option that they can exercise, and they aren't required to do so — but don’t get your hopes up). The only way to know for sure is to ask your lender and review your agreement with a local attorney. Even if lenders say it’s not possible, an attorney can help you figure out if your bank is providing accurate information. See the complete list of exceptions, and review this list with your attorney. If you can’t get your request approved, you might be tempted to set up an “informal” arrangement. For example, you could sell your house, leave the existing loan in place, and have the buyer reimburse you for mortgage payments. This is a bad idea. Your mortgage agreement probably does not allow this, and you might even find yourself in legal trouble, depending on how things go. What’s more, you’re still responsible for the loan — even though you’re no longer living in the house. If the buyer stops paying, the loan is in your name, so it’s still your problem (the late payments will appear on your credit reports, and lenders will come after you). If the home is sold in foreclosure for less than it’s worth, you could be responsible for any deficiency. There are better ways to offer seller financing to a potential buyer. If you can’t get a mortgage transferred, you’ve still got options, depending on your situation. Death, divorce, and family transfers might give you the right to make transfers, even if your lender says otherwise. If you’re facing foreclosure, certain government programs make it easier to deal with the mortgage — even if you’re underwater or unemployed. If you’re getting divorced, ask your attorney how to handle all of your debts and how to protect yourself in case your ex-spouse does not make payments. If a homeowner has died, a local attorney can help you determine what to do next. If you’re transferring assets to a trust, double check with your estate planning attorney to ensure that you will not trigger an acceleration clause. Refinancing might be your final option when none of the other approaches are available.